BARCELONA, March 2, 2015 – At Mobile World Congress 2015 this week, Cisco is advancing its position as the leading technology provider and business partner to help global mobile operators transform their networks, businesses and customers’ experiences in pursuit of new Internet of Everything (IoE) opportunities. Cisco is introducing and showcasing innovations across its entire Service Provider portfolio, including solutions that advance its Intercloud strategy and augment the company’s open network architecture and its three layers: Applications and Services, Evolved Services Platform and Evolved Programmable Network. Cisco will share these innovations and more during product demonstrations, speaking engagements and via several announcements at the Show. The centerpiece of Cisco’s presence at Mobile World Congress will be its booth at stand 3E30, Hall 3 in Fira Gran Via. Cisco today introduced Mobility IQ, a breakthrough mobility Software as a Service (SaaS) analytics solution that unlocks the power of visual network knowledge and drives unparalleled business outcomes for service providers. The market leading SaaS solution, hosted on Cisco Cloud Services, provides advanced insights and an unprecedented bird’s-eye view across Wi-Fi, 3G, and LTE network activity – in real-time. Service providers can identify and capitalize on new business opportunities and deliver exciting new experiences to their customers using a flexible, as a Service consumption model. Additional information can be found here. Cisco today announced commercial availability of its Universal Small Cell (USC) 8000 Series designed for large enterprises and venues. 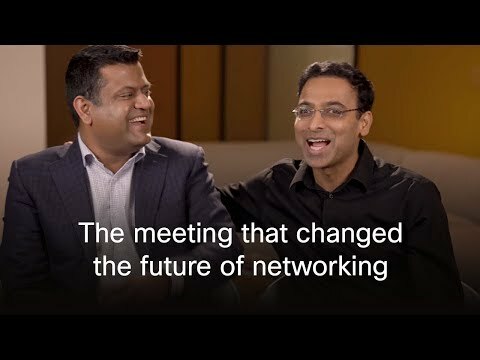 This solution is the result of a strategic collaboration between Cisco and SpiderCloud Wireless, and will be offered to Cisco’s enterprise customers and channel partners. The global agreement includes Cisco reselling SpiderCloud’s entire small cell portfolio under the USC 8000 Series brand. In addition, SpiderCloud will develop custom small cell technology for Cisco. Vodafone will be the first service provider to deliver the mobile service to its enterprise customers. Additional information can be found here. XL Axiata, one of the largest cellular operators in Indonesia for consumer and machine-to-machine (M2M) services, has selected Cisco® Virtualized Packet Core to deliver the network elasticity and service agility needed to support the rapid growth and ever-changing demands of today's market. By implementing Cisco Virtualized Packet Core (VPC), XL Axiata has become the first to implement the Cisco solution in Asia Pacific and Japan. Additional information can be found here. Cisco and Equinix, Inc., the global interconnection and data center company, announced that Equinix has deployed the Cisco Tail-f Network Control System (NCS) as part of the foundational technology powering the Equinix Cloud Exchange – the Equinix Programmable Network. This technology enables the automated network and service provisioning for cloud providers and their enterprise customers that Cloud Exchange has become known for. Tail-f Systems, now part of Cisco, provides multi-vendor service orchestration and network automation solutions based on NETCONF and YANG. Additional information can be found here. Product Demonstrations at the Cisco Booth: At the Cisco booth (stand 3E30, Hall 3 in Fira Gran Via), the company will showcase demonstrations aimed helping service providers increase revenue, decrease operations costs and enhance agility to drive faster responsiveness. Cisco's virtualization architecture provides SPs with business agility by delivering dynamic service creation through service automation, orchestration, and lifecycle management of multi–vendor virtualized networks. Cisco is bringing the MWC Gran Fira NoC to its customers! SPs can experience the live Cisco-provided network and services at MWC as well as insight from Analytics Dashboards, metrics, KPIs, and more. Cisco's leadership in end-to-end highly secure Connected solutions create new opportunities for SPs in IoT and IoE, e.g, Smart+Connected Cities, Connected Transportation, Public Safety, and more. Demo Scenario: Connected Bus Stop. See Cisco's vision for the Connected Life, from both the customer and the SP perspective, including use cases for geolocalization, recommendation and prediction, social, home automation and more – using existing technology and open source solutions. Cisco's solutions for the network of clouds, together with key partners, addresses customer requirements for a globally distributed, highly secure cloud platform capable of meeting the robust demands of the Internet of Everything. Cisco's offers the most comprehensive and open solution to automate multi-vendor, multi-technology network service orchestration and lifecycle management across NFV and physical networks. Cisco's VNF–M supports Cisco and 3rd party network functions, all virtualized, to accelerate service agility while minimizing OpEx with common automated operations for cloud-enabled solutions. Cisco Policy Suite provides new revenue-enabling capabilities such as support for virtual networks, M2M, access control with ANDSF, video optimization and RAN Congestion control. Cisco's VoWi-Fi Solution, built on Cisco's Evolved Packet Core, Evolved Packet Data Gateway and carrier-grade Universal Wi-Fi architecture, can provide SPs with the easiest and least expensive way to expand indoor coverage and capacity. Learn about Cisco services and solutions for network data-driven insights for our Service Provider customers and their customers. Cisco's 5G strategies will enable the graceful addition of new services and the reinvention of information architectures, while utilizing an automated, orchestrated virtualized cloud network using Information–Centric Networking. Cisco's Collaboration Cloud is a next-generation platform that enables best-in-class collaboration experiences.